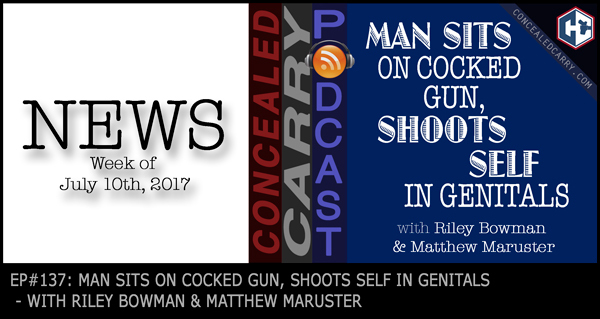 Riley and Matthew talk about the latest in national and state legislative issues including one Oregon law that just passed through the state house heading for the governor's desk that WILL result in the confiscation of guns without due process!! Meanwhile on a more positive front, new legislation is introduced that goes even further than the Hearing Protection Act that would completely deregulate silencers in the federal law–the SHUSH Act looks very promising as far as legislation is concerned, but does it stand a chance in the U.S. House and Senate? Finally, don't miss the crazy story where one man gets shot in the “crown jewels” when he sits down on his loaded gun! Hit the ‘PLAY' button and listen in now!! Pig Lube. Pig Lube believes in putting the fun back in shooting with their “synthesized” bacon grease gun lubricant but all joking aside Pig Lube provides excellent lubrication for both rifles and handguns. With a unique applicator and competitive pricing, try pig lube today. Now available on ConcealedCarry.com/piglube and for a limited time get free shipping on all PigLube orders! Restraining Orders: Do you think that law enforcement will follow up on removing any weapons from Rob Kardashian? The judge granter a restraining order for Blac Chyna. Somehow I am very skeptical. I don’t think he is a NRA member or a Republican, does that make him above the law?